Dungeon Time began to hit the shelves this week, and 18 stores in the US joined our release event on February, 10th. 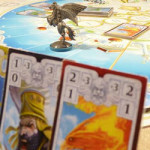 This is a great chance to try out the new game, and also to check other games from Ares' Family and Card Game line, such as Quickpick - Island of Monster Masks and Jolly Roger which you can find in stores as well. 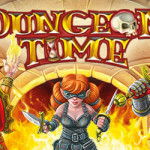 Find the game store nearest you to join our Dungeon Time release event the next weekend!